Mr. Campbell is a shareholder at Smith LC, specializing in personal injury, construction defect, and business dispute litigation. Representing plaintiffs and defendants alike, Mr. Campbell has extensive experience with amusement park and entertainment accidents, health care professionals, premises liability accidents, construction site accidents, and vehicle accidents, from minor incidents to serious injuries and deaths. Representing various trades in the residential construction industry Mr. Campbell has defended defect claims against graders, painters, window installers, roofers, and many other trades. In business disputes, Mr. Campbell has litigated partnership dissolutions, business sales, leasehold disputes, and investment contract disputes. 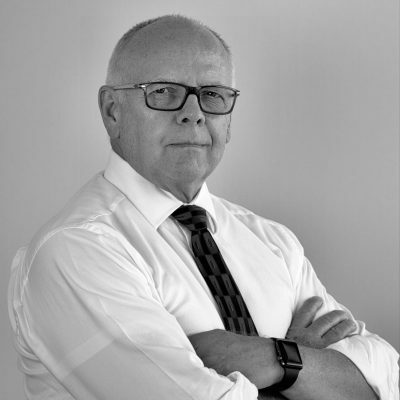 Mr. Campbell started his practice of law in 1981 with a civil litigation and criminal defense firm, and also gained experience in family law and insurance defense prior to partnering with Steven Smith in 2001. Mr. Campbell has tried more than forty civil jury trials to verdict and maintains an AV rating with Martindale-Hubbell, the highest rating available to any individual lawyer. Mr. Campbell earned his Juris Doctor from Western State University while working as a Deputy Clerk for the Orange County Clerk in the Orange County Superior Court, serving two years as a courtroom clerk. He is married to Betty Campbell and they are the parents of six children.